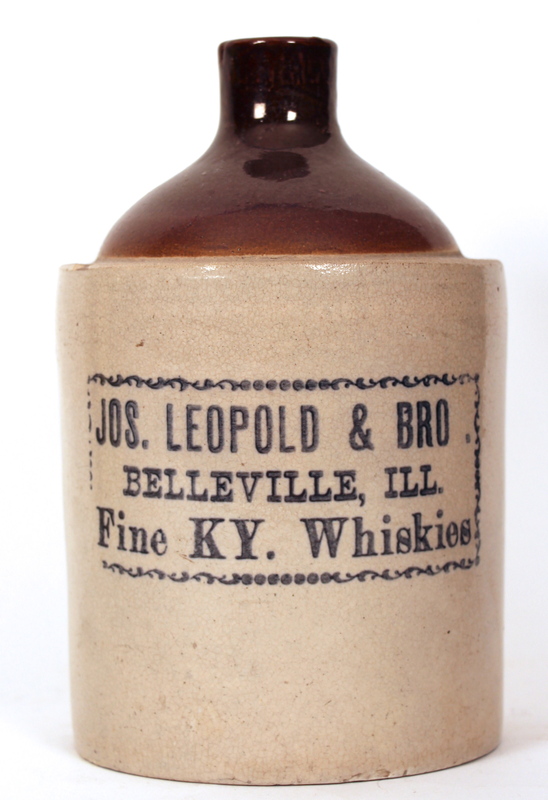 This is an early Joseph Leopold and Brother stoneware advertising whiskey jug from Belleville, Illinois, Circa 1900. 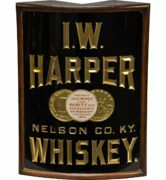 This whiskey jug is a one gallon size and is the most common size found from the company. 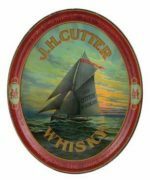 The jug prominently displays the words “Fine KY Whiskies” which was featured on many of their advertising pieces. 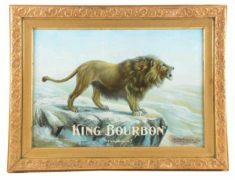 The Leopold Bros. also sold whiskey in two, three, four and five gallon sizes. 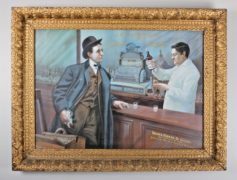 Joseph Leopold and his brother were prominent pre-Prohibition whiskey distillers in Belleville, Illinois. 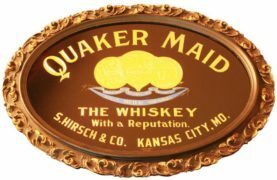 They directly competed against the A.W. Herr Company also located in Belleville. 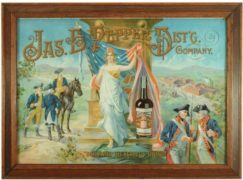 The Joseph Leopold & Bros. Company went out of business with the start of prohibition in 1919.